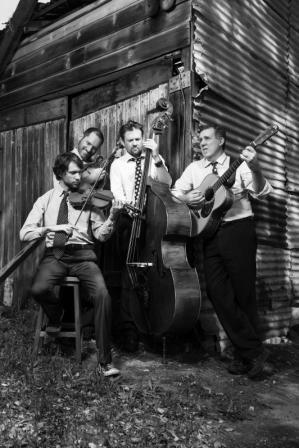 Brisbane bluegrass band, The Company, head into the studio this April to record their new album. Having been almost two years since their last release, The Company are champing-at-the-bit to get back into the studio and record what will be a whole album of new material. Their debut self titled release in 2012 was received with critical acclaim and was a culmination of a very creative and productive first few months in the life of this band in its current line-up. So again, the bag of new songs and tunes is bursting at the seams and a recording date has been set for early April, 2014. It’s been a quiet summer and after finishing on such a high performing with American bluegrass legends Allan Munde and Jens Kruger (USA) late last year, we’ve enjoyed the down-time to work on a lot of new material – Mick Patrick. While a final track list is yet to be decided, this new record will feature a much heavier portion of songs than the last album. The band has had a number of requests from fans about wanting more songs and they aim to please. As a result both Mick (lead singer and mandolin) and Jamie (guitar) have been adding new songs to the set-list as well as tunes. Bass player, Markus has delivered new compositions to the arranging table and George (banjo/fiddle) is making his contribution also – at least from afar. George is the one member of the band that is no longer based in Brisbane and in between touring and recording with other projects he still finds time and energy to remain one of the ‘Company Men’. Go online for more information on live shows and updates on the progress of the record. The band intends to launch a crowd-funding campaign in order to get this album released. You will have the opportunity to pre-order, contribute and be part of this exciting new album.